In December, we ran a trial to analyze the influence of different fermentation times on multiple aspects of quality, (pH, weight, and cup score). Using a single batch of coffee from Finca Ayutepeque (1,100 meters above sea level), we created five samples, which we introduced to different fermentation times. Five samples were drawn from a single batch of coffee. Each sample taken had a weight of four pounds. 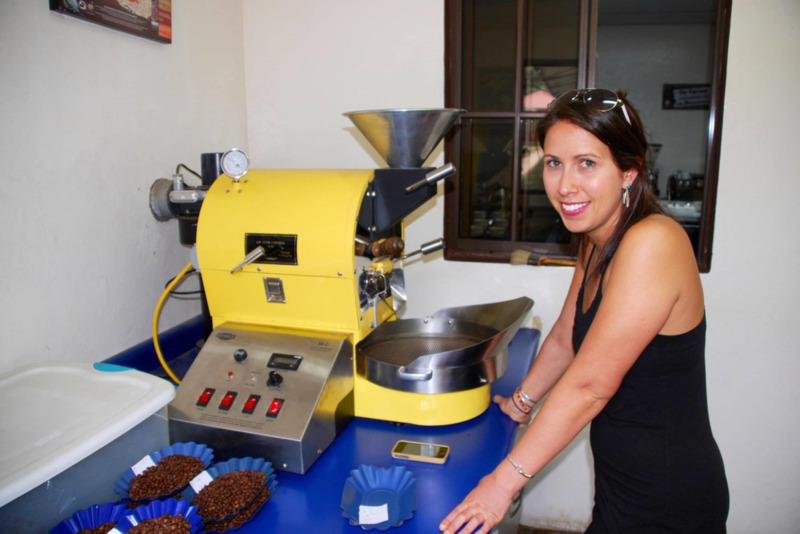 Samples were drawn as wet, unwashed parchment individually from the machinery at Beneficio El Manzano, within processing, at the stage where the coffee would traditionally be collected in the fermentation tank. The samples were fermented within the same conditions, in 10 gallon plastic tubs, under cover; and each dried on individual raised beds, custom build to hold five pound samples. Samples were cupped on the same day, in a single lab, and on a 100 point scale, with conditions for the cupping corresponding to the rubric given by the SCAA. Results were recorded in three stages; over the course of the fermentation, at the end of drying, and after roasting and cupping. The longer the ferment time, the higher the development of acidity (pH) in the water of the ferment tanks, where the beans were soaking. The longer the ferment time the larger the average reduction in weight from wet parchment to raw green coffee. Highest cup scores were recorded by the two samples with the lowest ferment time. We plan to continue cupping the samples at month intervals, in order to determine if the varying times of the fermentation, influence the cup quality of the coffee over a longer period of time.